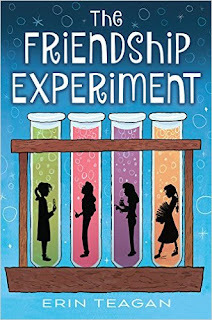 I was excited for the chance to review the middle grade novel, The Friendship Experiment, by Erin Teagan, as I have a daughter in this age group who is obsessed with science much like the main character. The book will be released by Houghton Mifflin Harcourt Books for Young Readers in November 2016, so put this one on the wish list for the young readers in your life now! Eleven-year-old Madeline Little is about to start middle school, still absorbing the loss of her beloved scientist grandfather, and generally feeling ill-at-ease about many things in her life, including the rare blood disorder that she shares with her older sister. She’s so obsessed with science and microbiology that she swabs random items she finds at school and then sees what kind of fungus grows from them in the petri dishes in her closet. How to Fake Sleep to Get Out of a Conversation with your Mother About Your Social Life. Step 1. Yawn and then go limp. Like complete and total limpness. Step 2. Open your mouth and breathe like you have a nasal blockage. Step 3. If you are on a couch, or a bed, or a chair, dangle an arm or leg off the side for extra effect. In true middle school fashion, Maddie is separated from her best friend, Elizabeth, who is attending a private school instead. She is also jealous once she learns about all the homework, special projects, and science labs Elizabeth will get to be a part of in her new school. There is a new student at the public middle school, Riley, that is just as interested in science as Maddie, but Maddie refuses to consider a friendship with her. When I received this book to review, I knew it would be right up my 13-year-old’s alley. She’s also fascinated by microbiology and finished the book within a day. She loved all the descriptions of the lab Maddie’s dad works in and the storyline about the blood disorder Von Willebrand disease, which causes public humiliation for both Maddie and her sister Brooke at the worst possible times. At first I was frustrated with Maddie’s character, because of her extreme stubbornness and unwillingness to see other people’s point of view and her refusal to be friends with anyone but Elizabeth, a friendship which hits a major roadblock. But then I realized this is middle-grade literature at its finest—the characters can’t be perfect at the beginning of the book because they won’t have any room to grow. In the end, Maddie learns a lot of important life lessons, along with strengthening the relationships among her own family members. 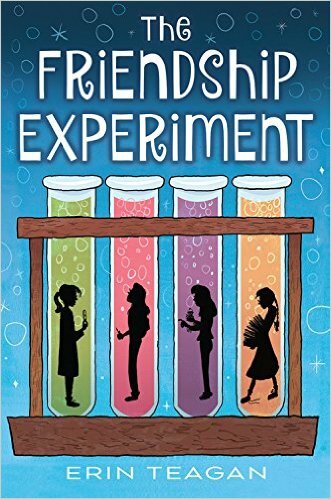 My daughter thoroughly enjoyed The Friendship Experiment and has read it several times, and mentioned she might want to start swabbing items for her own fungus experiments. That should be interesting! 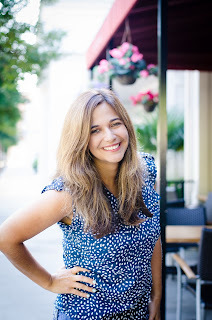 Erin Teagan is a former research scientist who now writes for readers full-time. The Friendship Experiment is her first novel. She lives with her family in Virginia. Visit her website at www.erinteagan.com. Renee Roberson is an award-winning freelance writer and editor who also enjoys reading and writing fiction for middle grade and teen readers. Visit her blog at Renee's Pages. Renee--I'll be teaching 6th, 7th and 8th graders this year, so I'm putting this book on my "must buy" list. Thanks for the review.